Nanette Wylde: “My work starts with a question. Some unanswered phenomenon will go nagging around my gray matter, repeating itself in hushed, slightly obsessive tones until I satisfy with research‚ extensive research, and then a response. While it is the research that points me to answers, it is the actual making of the work, completing the project that satisfies the question. Redwood City, California: Hunger Button Books, 2014. Edition of 5. 8.5" x 5.5" closed, 8.5" x 11" open; 40 pages. Bound in paper wrapper of Mr. Ellie Pooh elephant dung. Solarplate intaglio print on Rives paper mounted on front cover with album photo corners. Interior pages of Mohawk Superfine papers. 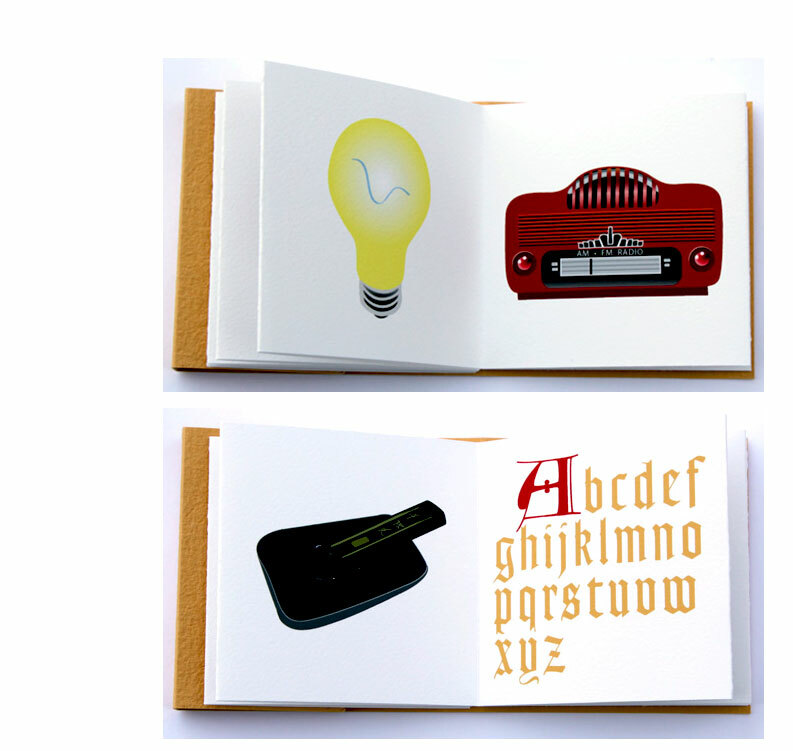 Pigment prints and manual typing with 1940's Royal Companion typewriter. Printed and bound at PreNeo Press. 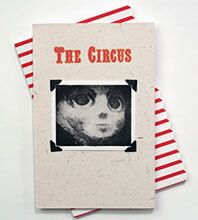 In slipcase of white and red stripes with scalloped foreedges. Signed and numbered by the artist. 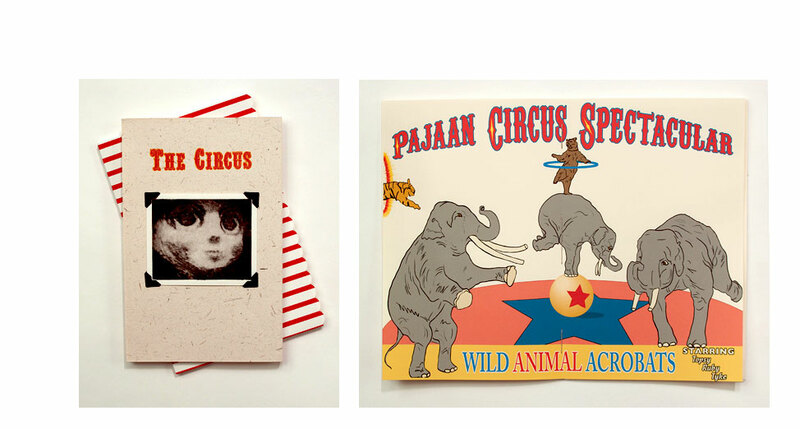 In a simply told story of personal discovery, circus dazzle loses out to the reality of "the use of the bull hook." 8" x 7.5"; 24 pages. Codex with pamphlet stitch. 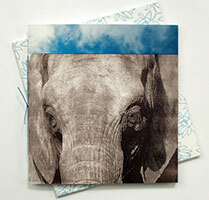 Digital print, oil-based intaglio & oil-based relief printing on Awagami IJP Bamboo paper. ITC Benguiat font for text. Printed & bound at PreNeo Press, Redwood City, California. Signed and numbered by the artist. Original text laments irrevocable loss. Redwood City, California: Hunger Button Books, 2013. Edition of 57. 4 x 4" closed, 4 x 52" extended; 13 pages. 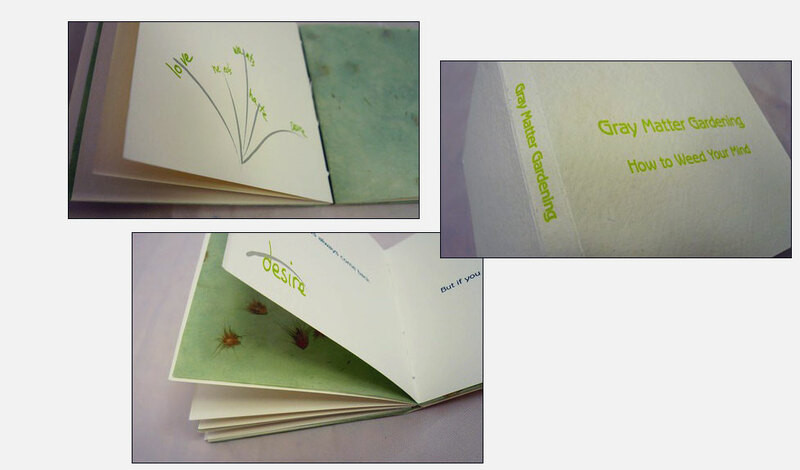 Accordion fold with pamphlet stitch. St. Armand paper wrapper with photopolymer relief. Interior pages printed on Somerset papers. Printed using pigment inks with American Typewriter font. Redwood City, California: Hunger Button Books, 2012. Edition of 36. 6 x 6"; 4 pages. Square flexagon structure. Digital pigment prints on Moab Entrada paper. Apple Chancery font. Laid in folded paper wrapper with title printed on front cover. 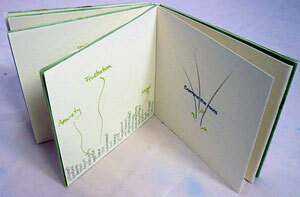 Nanette Wylde: "Compass takes form as a flexagon, which is an unfolding book structure. On each of the four faces is a cardinal direction, layered with an image of a compass rose, and a compass-based quote from a significant historical artist. "Compass was created for "earth/science/art," an exhibition conceptualized by Lisa Hochstein based on collaborative pairings of USGS scientists from the Pacific Science Center in Santa Cruz, California, and Bay Area artists. I was paired with coastal geologist and mapmaker Ann Gibbs." Quotations from William Blake, Leonardo da Vinci, Vincent van Gogh, Michelangelo. Nanette Wylde, earth*science*art www.earthscienceartsc.com : "When Ann Gibbs and I met she told me she was a mapmaker. I am a lifelong fan of maps in all of their many forms so this totally delighted me. I even distinctly remember learning to read and make maps in elementary school. It was serendipity that I had given a group of my students a conceptual focus of mapping and cartography this term. So maps, mapping and mapmaking have been in my mind these past three months. "Ann was very generous in sharing imagery, notes and text from her research—so much so that it was daunting to know where to start. Her photographs of the Alaskan coastline were so beautiful and mesmerizing in themselves that I didn’t feel I could touch them. "I am currently working on three projects for earth•science•art. The first and almost completed is 'Compass.' This work is being realized as a flexagon, which is a folding—or perhaps an unfolding—book structure. On each of the four faces is a cardinal direction, layered with an image of a compass rose, and a compass-based quote." Redwood City, California: Hunger Button Books, 2012. Edition of 17. 4.625 x 5.75" closed, extends to 54"; 11 pages. Accordion fold structure extending from front pastedown. Oil-based wood relief on Somerset Velvet. Bound in paper wraps of Somerset Black Velvet. 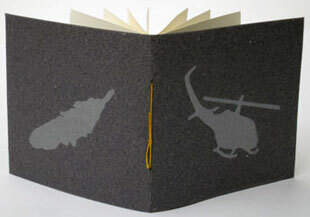 Created for the Al-Mutanabbi Street project, a global book arts' response to the car bombing of Al-Mutanabbi Street in Baghdad on March 5, 2007. Nanette Wylde: "Pondering the sources and causes of the destruction of Al-Mutanabbi Street and what this act really was about, at its essence, creates more questions for me than it does provide answers. Considering parallels and relationships is one way of thinking through the problem. "In designing the book I wanted aspects of the form to communicate aspects of the complexity of the content, that are not overtly stated in the text. I chose wood relief because I wanted the look of the pages to have a hand-printed aesthetic to reflect the long history of books, the printed word, and the street itself." Redwood City, California: Hunger Button Books, 2010. 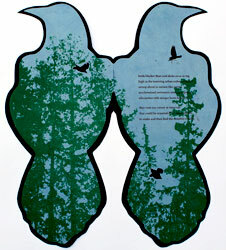 Edition of 28. 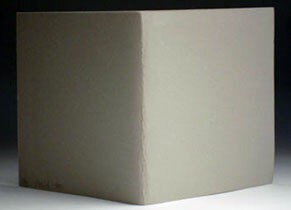 9 x 9"; 10 pages (five two-page spreads). Movable book with pull tabs, wheels, spinner, windows, flaps, fold-out page. Includes attached objects: three pin-on buttons "Hello Catty! Push Your Buttons" in bag; "Organic Catnip" seed packet; and "Hello Catty!" heart charm. Printed on Epson 3800 with Epson UltraChrome pigment-based inks on Epson papers. Bound in illustrated paper wraps. Nanette Wylde: "Hello Catty! is a light-hearted, yet poignant play on catty behaviors couched by a feline perspective. 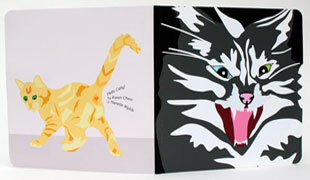 Designed as a movable board book, it consists of five two-page spreads. Each spread contains user interactive elements: wheels, pop-ups, pulls, spinners, windows, flaps, a game and ephemera. "Hello Catty! came about after Karen and Nanette shared an experience of a person being unnecessarily (and blatantly) mean to them. This was followed by conversations on meanness: types, reasons, stereotypes … and has resulted in this book. We had fun." Books by Nanette Wylde with her poetry. Redwood City, California: Hunger Button Books, 2013. Edition of 7. 7 x 16"; 4 pages. Oil based relief on Lokta paper. Minion Pro font for text. Pamphlet bound in shaped Somerset Black Velvet paper. Colophon printed separately on 7 x 16" single sheet. 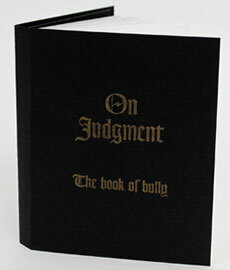 Handprinted and bound at PreNeo Press. Laid in wrapper of Lignin free Glama. 3" wide band closure. Signed and numbered by the artist. Original poem by Nanette Wylde about black birds. 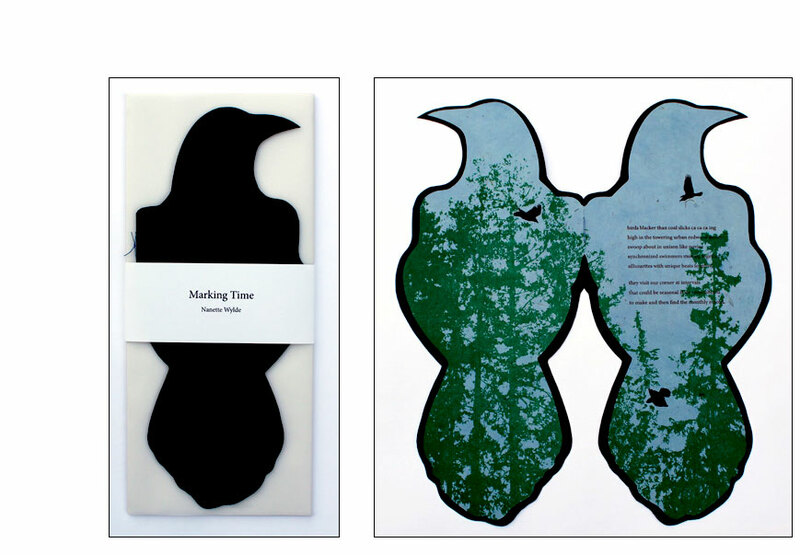 The pages and cover are cut in the profile of a perched black bird. silhouettes with unique beats forgiven. to make and then find the monthly record. Redwood City, California: Hunger Button Books, 2011. Edition of 21. 4.25 x 5.5"; 8 pages. Pigment on Mulberry and Mohawk Superfine. Paper wraps. Pamphlet bound. 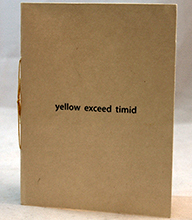 Nanette Wylde: "Three poems created from a prompt of three randomly generated words: yellow, exceed, and timid. The words are ordered differently in each poem, and their placement in the poems is reflected on each facing recto." A Focus Generator inspired project. Redwood City, California: Hunger Button Books, 2009. Edition of 28. 4 x 4"; 16 pages. 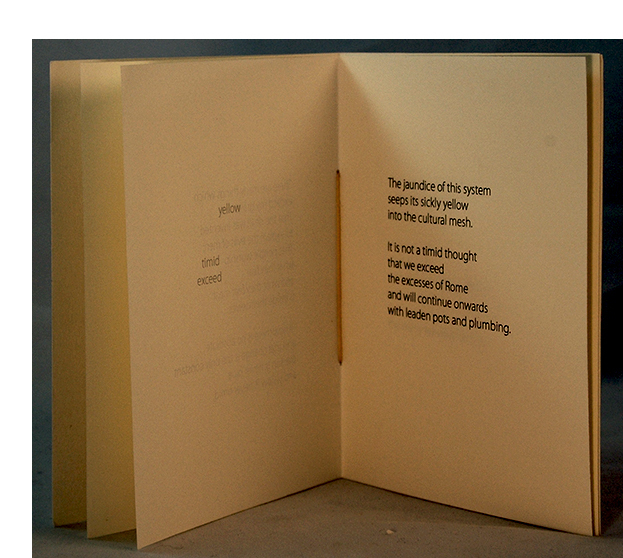 Text printed in ITC Benguiat font digitally on Mohawk Superfine with archival pigment inks. 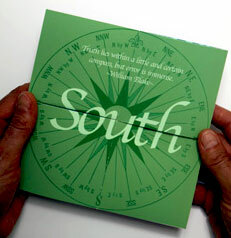 Letterpress printed cover from a photopolymer plate on St. Armand 100% cotton rag paper. Handsewn pamphlet binding. Signed and numbered by the artist. Nanette Wylde: "I wrote this poem over my morning coffee. The sound of a helicopter outside was the starting point." San Francisco: San Francisco Center for the Book, 2008. Edition of 100. 4 x 4"; 23 pages. 23 illustrations. 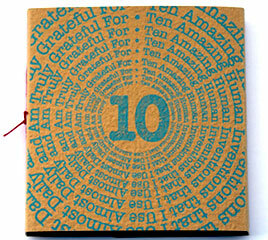 Letterpress printed paper cover. Inkjet images. Handbound. San Francisco Center for the Book: "Nanette Wylde is a conceptual artist and cultural worker with a passion for artists’ books. She is a native of California where she makes her home with one spousal unit, one cat, and an abundance of edible and decorative plant life." Five sections: Create an environment conducive to weeding; Determine what is a weed and what is not a weed; Remove the weeds; Understand the weed; and, Repeat as needed. "Inspiration provided by the Dharma." This is one in the Small Plate Series that the Center produces. Redwood City, California: Hunger Button Books, 1997. Edition of 3. 3 x 3"; 6 pages. Flutter book construction. Hand embossed on Rives lightweight. Paper wraps of Gray Rives BFK. Signed and numbered by the artist. Nanette Wylde: "Breathing is an automatic activity. We notice it most often when it goes missing or awry. It is present, but it is invisible as well, just below the surface of our more obvious activities."